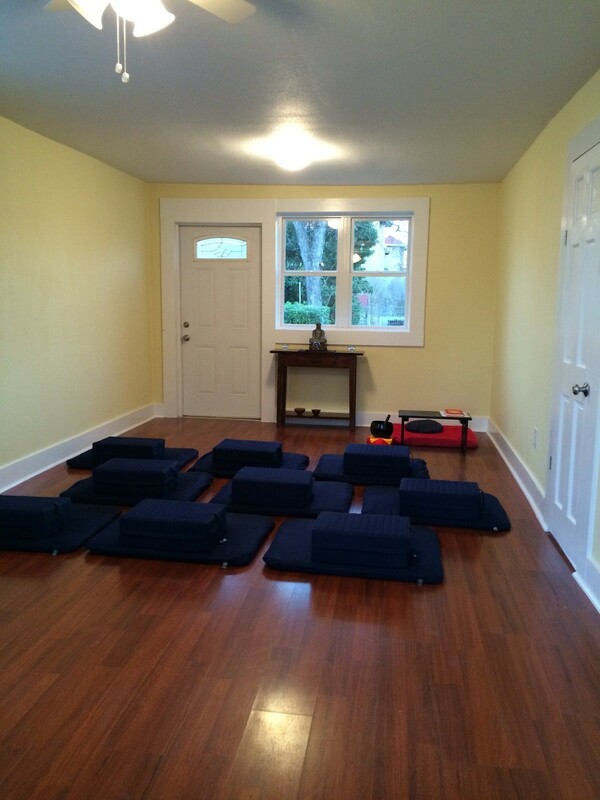 We are excited to announce that the renovation of our second meditation space is now complete and ready for the community! This was no easy task. From new sheet rock, termite damage repair, installing a beautiful new ADA-compliant door, to paint and design, much of the community came together to provide an uplifted new practice space that will allow for programs and regular public sits to occur much more easily together. This isn’t the end of the renovations planned for our first permanent home in San Antonio. Please contact Facilities Director, Nicholas Keel, to volunteer for future projects. We look forward to practicing with you this coming year!